Wooohooo! It’s time for your road trip through Kansas, and it turns out, there’s a lot about this great state that you don’t yet know. For instance, we bet you don’t know that the state flower of Kansas is the sunflower. Oh… everyone knows that, you say? Hmmm. Let’s try again. The official motto of Kansas is “ad astra per aspera,” (betcha didn’t know that one!) which is fancy talk for “to the stars by hard ways,” but don’t let that psych you out from visiting. After all, Kansas is home to magnificent bison, western meadowlarks, and all that swaying wheat, worth a few “hard ways,” if you ask us. A drive through the plains, we’ve heard, is like being transported to another dimension: simply magical. Just imagine all the fun things that you can do while finding your way along the road with your pup. You might stop and smell the flowers, make the unlikeliest of friends, find an enchanted forest (wait, what? 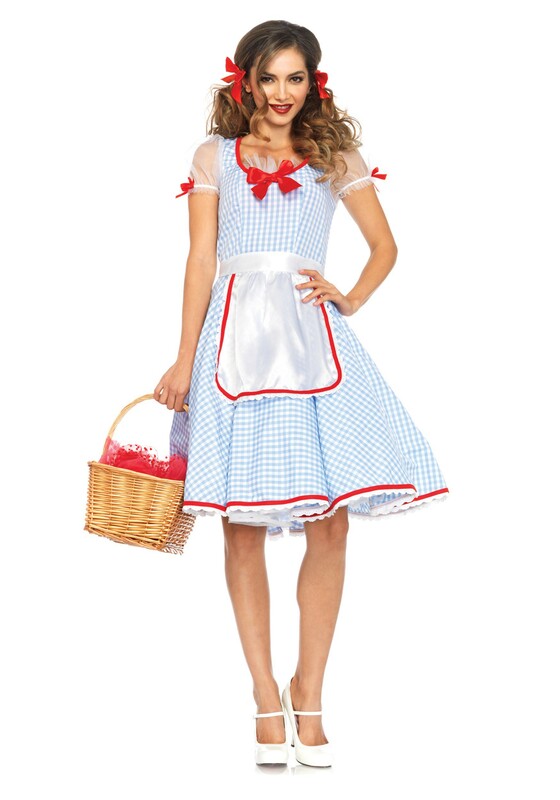 ), sing along to catchy tunes, daydream about rainbows, and take selfies of yourself wearing this adorable Women's Kansas Sweetie Costume, posing in front of a tornado (nope, scratch that one)…posing in front of sunflowers (yes, that’s better). Just make sure your ride has some heavy duty tires. We hear that the road is made of yellow bricks, so you're going to want to make sure you arrive safely! 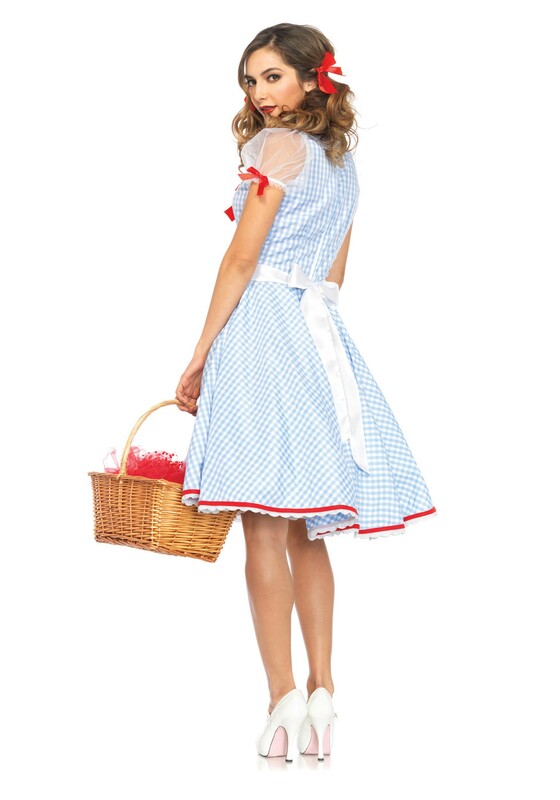 You can’t yet imagine how good it will feel to parade this gingham dress along your route. And who knows, that white apron may come in handy if you need to change a quick flat along the way! Whatever good ole’ Kansas fun you get into, we bet you’ll return home totally transformed by your whirlwind trip. And more knowledgeable, to boot!